Today I Learned that fresh mushrooms (you know – of the uncooked variety) are much, much more edible. Well, more edible to a mushroom hater. Those suckers still look horrifying, don’t get me wrong, but at least they didn’t cause a fuss in my stomach. Now, on top of all of that these morsels are fungi. So you have to wrap your head around the idea that you’re eating fungus. A fungus that usually grows in poop. You see why I have problems with mushrooms? It’s an all-out battle! But that’s all beside the point because today, I didn’t gag. I didn’t throw up. I almost didn’t even notice that I was eating mushrooms. I sliced up a big ‘ol mess of white mushrooms and made myself a whole freakin’ cauldron of Japanese salad. I say cauldron because the amount of salad today’s recipe made was staggering. Okay, I can’t stop with the witch thing. I’ll just quit while I’m ahead. What a discombobulated post…. Japanese Salad – white mushrooms, cabbage, bean sprouts, sunflower seeds, green onions, chow mein noodles, ichiban noodles, veggie oil, soy sauce, vinegar, sugar, pepper, and seasoning. You should try sesame oil and Chinese vinegar in that recipe instead. Bumps the flavours up a notch! 😊 Congrats on your journey towards mushroom loving! 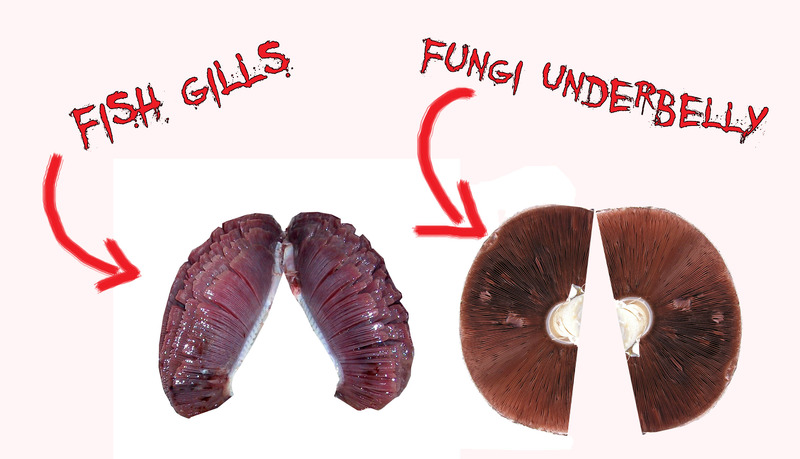 Speaking of, why don’t you find and focus on the things that you love about mushrooms, even if it’s just one thing, instead of focusing on and grossing yourself out over stuff like how they look like gills and grow in poop? Mind over matter! I think about how creamy and white the button mushrooms are, how they add a rich, earthy flavour and how crisp and refreshing they are when they’re fresh! Just some ideas. 😊 Replace words your mind with “rich” instead of slimy and “crisp” instead of “gills”. Keep it up!